The goal of any collections professional, including lawyers, is to collect the claim with as little time and cost as possible. The creditor must constantly make the calculation: is the additional time and money I’m going to spend on this claim worth the increased return? This calculation becomes most intense when considering trial in collections cases and when negotiating settlement of pending litigation. Many clients ask me what to expect from litigation in terms of investments of time and money so they can make a reasonable decision. The answer is more nuanced than they had usually hoped. Now, of course, group 3 will never self-identify, and will attempt to look like one of the other groups. 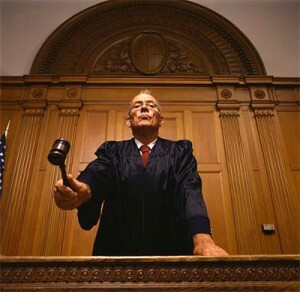 Discerning when there is a genuine financial issue and/or a legitimate factual or legal dispute is one of the services good collections counsel can provide. Let’s consider this group first, since they are usually the cheapest to litigate, but also the most risky. Generally, these are either small businesses just hanging on, or individuals who are unemployed or otherwise uncollectible at the moment. From a legal standpoint, it’s usually important to get a judgment lien, abstract, and other legal protections in place in case of bankruptcy or liquidation. However, practically, the real art is to apply enough pressure to stay at the front of the line of creditors, but not enough pressure to break the business and send the debtor into bankruptcy or liquidation. Costs and time commitments, however, are minimal. For suit in California, the client will need to advance costs of approximately $500 to file and serve the Complaint and, assuming the case goes by default or an uncontested trial, no further costs and none of the creditor’s time need be invested. This group is one of the most important reasons why courtesy can be crucial in the collections industry. It is crucial to listen carefully and politely to what the debtor has to say during the first collection calls, and make scrupulous notes. As the creditor, there may be facts of which you are unaware, or there may be a legal issue you did not know about. It is important to let the debtor talk, and explain her position on the debt in detail. This allows you to make the best estimation possible of the likelihood of success in litigation, as well as the potential costs. Usually, these issues can be worked through, a proper discount given, and voluntary payment made without litigation. However, sometimes there is a factual issue that cannot be resolved: the creditor claims there was an oral agreement over the phone which the debtor denies; the parties dispute how an accident occurred; the debtor claims that the goods delivered were not fit for their particular purpose. These cases are usually more costly to litigate, because the debtor will probably retain counsel and actively engage in the litigation. These are also the most likely cases to result in a cross-complaint. Aside from the filing and service fees of $500, the creditor should expect that it will need to provide a witness on at least three occasions: for a deposition, for a settlement conference or mediation, and for trial in the state and county where the lawsuit is pending. These costs, such as airplane tickets and lodging, usually cannot be added to the judgment. Further, the potential for a cross-complaint looms large, as this usually requires payment of hourly fees to defend beyond the contingency fees to collect. Please see David Greenberg’s excellent article: Contersuit and Consequence, for more details on this. This is the most frustrating group to deal with. After refuting all of their disputes and after confirming they are actively in business, the debtor continues to offer pennies on the dollar. Frequently, these are “professional debtors” who owe many creditors and know how to work the system. These debtors will drag their feet in the litigation process. Pushing these cases through efficiently is another area where an experienced collections attorney can be invaluable. Even when represented by a skillful attorney, creditors in this situation need to carefully consider the costs. In California there will be court costs of approximately $500 to file and serve the complaint, which can be included in the judgment. The client will also have to expect all of the costs described above: a witness for deposition, settlement conference, and trial, as well as spending many hours of employee time gathering documents and information to respond to written discovery. These costs usually cannot be included in the judgment. One of the most frustrating tactics used by debtors is filing a cross-complaint, even though the claim is flimsy or outright fabricated. Unfortunately, such a cross-claim must be responded to, or the creditor risks a default judgment against it. Therefore, the client will usually be looking at $3,000 to $5,000 in hourly fees to defend the claim. Worse, unless the underlying claim is supported by a writing requiring the loser to pay attorney’s fees, these fees will generally not be recoverable in the judgment. So, after careful calculation, you’ve proceeded to trial. Thanks to a good attorney you prevail on every issue presented and are awarded a judgment for the full amount, plus interest and court costs. While this is an important victory, it is not the end. A judgment is not equivalent to an order that the debtor pay. U.S. law does not require voluntary payment of judgments. Rather, the creditor now faces another legal process in collecting its judgment. In California it becomes possible to use a variety of tools to levy assets, all of which require additional costs, ranging from approximately one hundred dollars for standard bank levies and wage garnishments, to several thousands of dollars for property levies or turnover orders. For that reason, it is not unusual for a debtor to negotiate a discount even on a formal judgment. Litigation can be a necessary tool to force payment of overdue debts. If represented by competent collections counsel, the leverage of a lawsuit can increase the value of a claim. However, especially in a collections context, it’s important for the creditor to frequently make the calculation: is further litigation worth the investment, or is settlement the wiser course?